I just got back from my birthday trip to Disneyland. I ate a lot of treats that I already loved and checked many more off of my must try list. I am here to tell you all about them. This was by far my favorite treat this trip. Not only does it taste beautiful but it looks beautiful too. Fresh raspberries sandwiched between two macarons with a raspberry rose cream. The fresh tart raspberries, sugary cream and light macaroons come together to create a delicious taste that I could not get enough of. 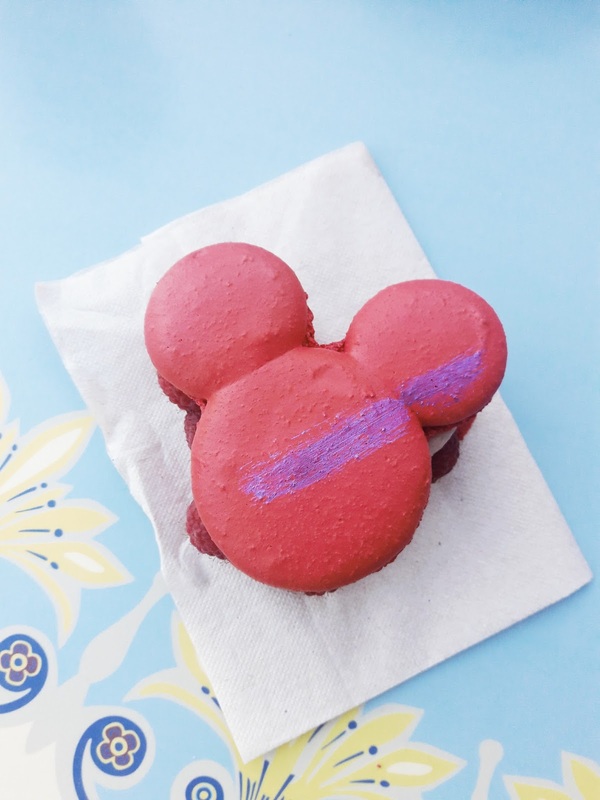 You can find the Raspberry Rose Mickey Macaron at the Jolly Holiday on Main Street. 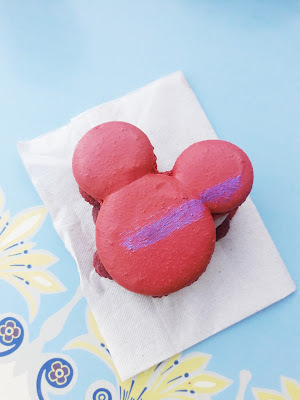 Fun fact: Each day a different color paint brush stroke is added to the top of the macarons. We got a purple stroke and a gold stroke. 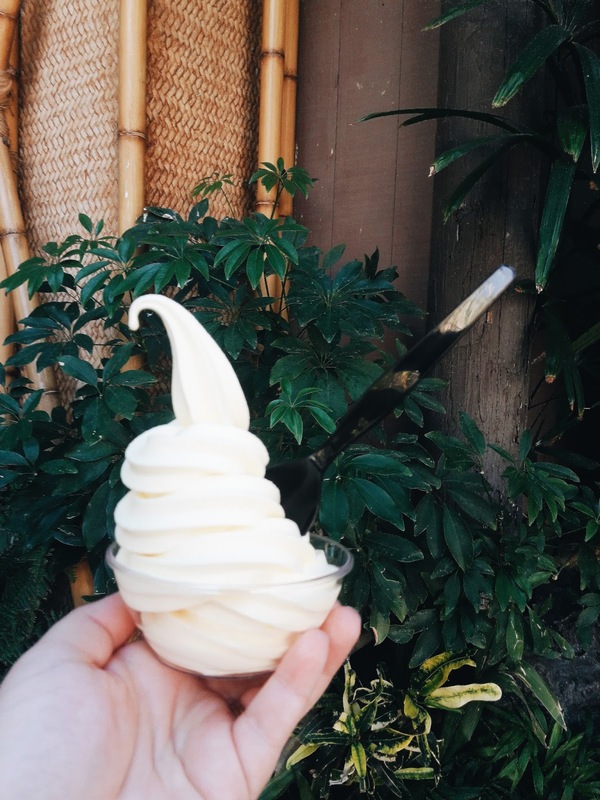 The Dole Whip can come as a float or soft serve. My preference is the soft serve but you can't go wrong with either one! This pineapple treat is so refreshing, especially after a long day of walking in the sun. You can find it at the Tiki Juice Bar in Adventureland. Right next to the Enchanted Tiki Room. Disneyland churros are a favorite for a reason. 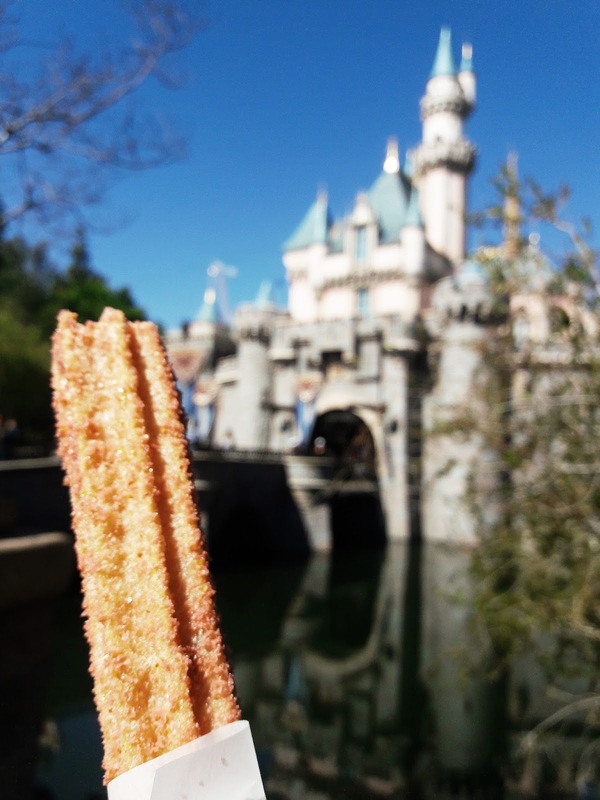 What's better than a nice warm sugary churro? 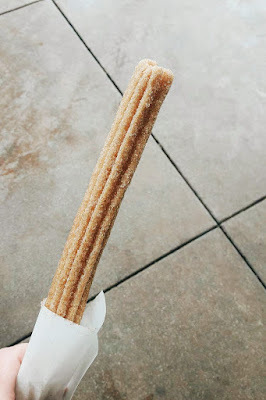 Disneyland has recently started selling flavored churros. They had Peppermint for winter and Pumpkin Spice for fall. The Rose Gold churro was the flavor while we visited and it was delicious! It was covered in pink sugar and strawberry flavored. You can find churro carts in each land at Disneyland. The flavored churros are sold at specific locations. The Rose Gold and Peppermint were sold at the the churro cart in front of the castle. The Pumpkin Spice churro was sold at the Cozy Cone in Cars Land. A quick google search should let you know what the flavor is when you are visiting and where to find it. Fun fact: A taste test was conducted and the best tasting churros are supposedly sold at the churro cart near the Haunted Mansion. We weren't able to put it to the test this time but I will let you know when we do. Disneyland is well known for its Monte Cristo Sandwich. And after finally getting to try this bad boy out I know why. 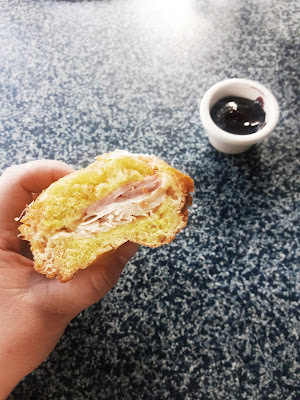 Whoever decided there needed to be a sandwich made out of fried dough, stuffed with ham, turkey, cheese, topped with powdered sugar and served with jam is a genius and I would like to talk to them about that thought process. You can find the Monte Cristo at Cafe Orleans or on the Blue Bayou's lunch menu. You will need to make a reservation for each restaurant so act fast! Other Favorites from Cafe Orleans: Pommes Frites. We tried these and they were delicious! 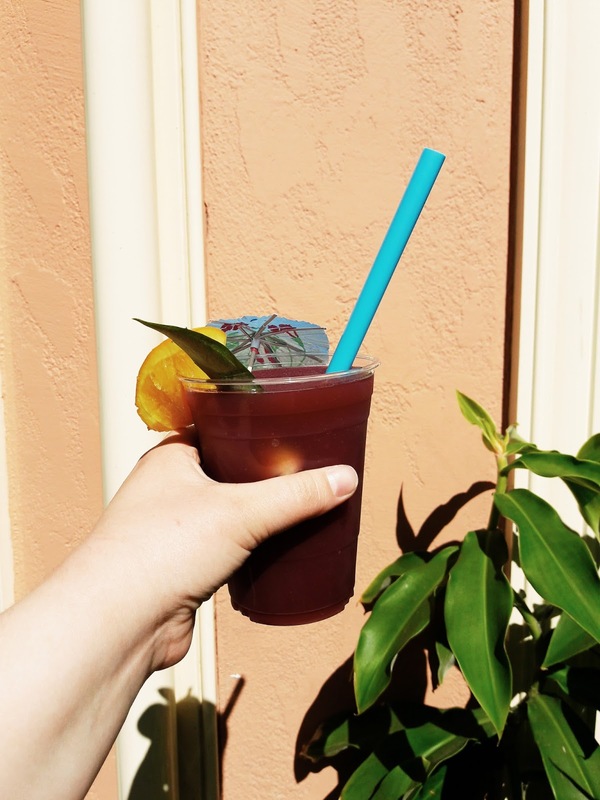 This delicious drink is the perfect mix of flavors. Mint with a hint of lime. 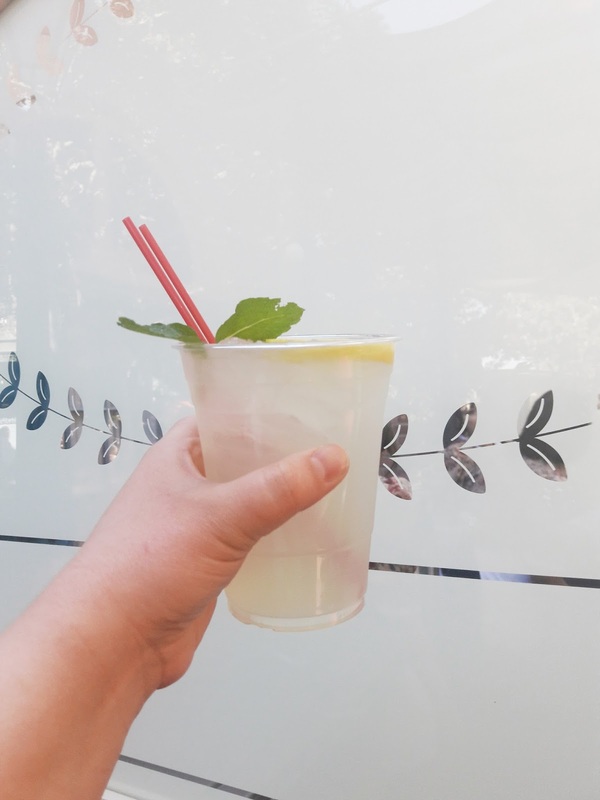 This drink is on the sweeter side like lemonade. This is definitely one of the treats I am going to try to make at home. The Mint Julep can be found at the Mint Julep Bar in New Orleans Square. It is also served at New Orlean's sit down restaurants. These are like little pieces of heaven. Like eating a sugary cloud. Deep fried dough that is lighter than air covered in powdered sugar. 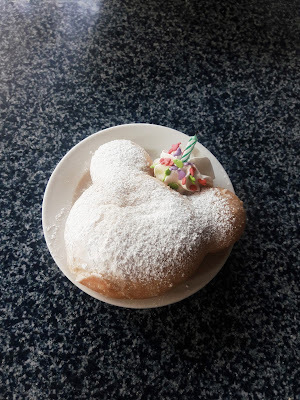 You can find the Micky Shaped Beignets at the Mint Julep Bar or Cafe Orleans both located in New Orleans Square. Tip: We got our first beignets at the Mint Julep Bar. I scored the above beignet for my birthday at Cafe Orleans. If you are going to eat at Cafe Orleans I would recommend you get your beignet from there. All of the beignets tasted delicious. The beignet from Cafe Orleans was just a lot more fluffy. 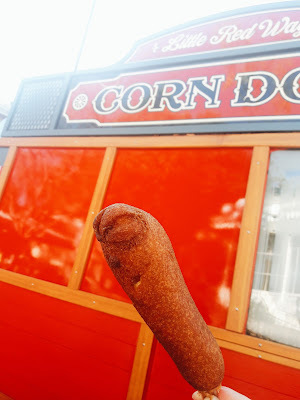 Disneyland corn dogs are a must. They are on the more expensive side but are definitely worth the price. Warm, sweet crunchy cornbread on the outside with a salty hot dog on the inside. Did I mention they are extra large? Available at the Little Red Wagon cart at the end of Main Street near Plaza Inn. I was thrown off by it's dark purple color. I expected a deep berry flavor but it was infused with citrus. A perfect way to treat yourself and feel completely refreshed after wards. Found at the Bengal Barbecue in Adventureland across from Indiana Jones. Other Favorites at Bengal Barbecue: Meat or Veggie skewers. A red velvet cake served on a shortbread cookie topped with a fresh raspberry covered in white chocolate mousse. 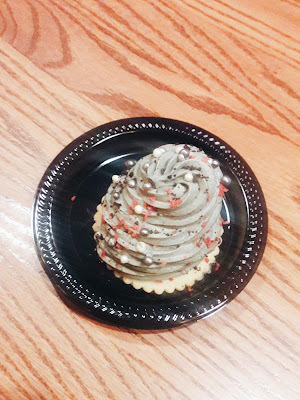 You can find the Grey Stuff at the Red Rose Tavern in Fantasyland next to Pinocchio's Daring Journey. 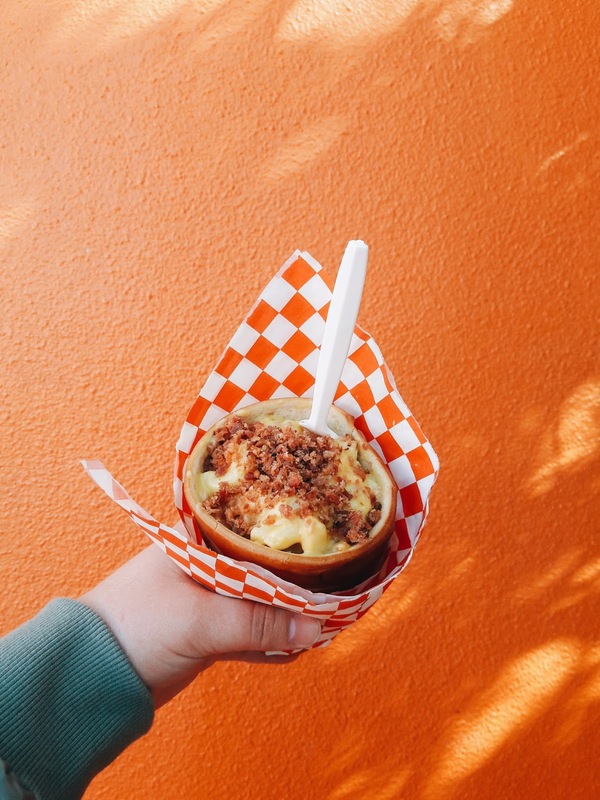 Mac and cheese loaded with bacon served in a bread cone. It took me a while to eat my way through this one as it's a very large helping. Found at the Cozy Cone where they serve food in various types of cones, like traffic cones. The Cozy Cone is located in Cars Land in California Adventure. Other favorites from the Cozy Cone: Red's Apple Freeze, Pear of Dice soda and flavored popcorn. We tried the pickle popcorn and it was so good! Other flavors include: Sriracha, pizza, buffalo ranch and many more. I feel like Ghirardelli's gets passed over a lot as it's hidden on the pier. Also, when you got to Disneyland you are looking for Disneyland food. I would highly suggest you make a stop at Ghirardelli's. The Ocean Beach Sea Salt Caramel Sundae is to die for! 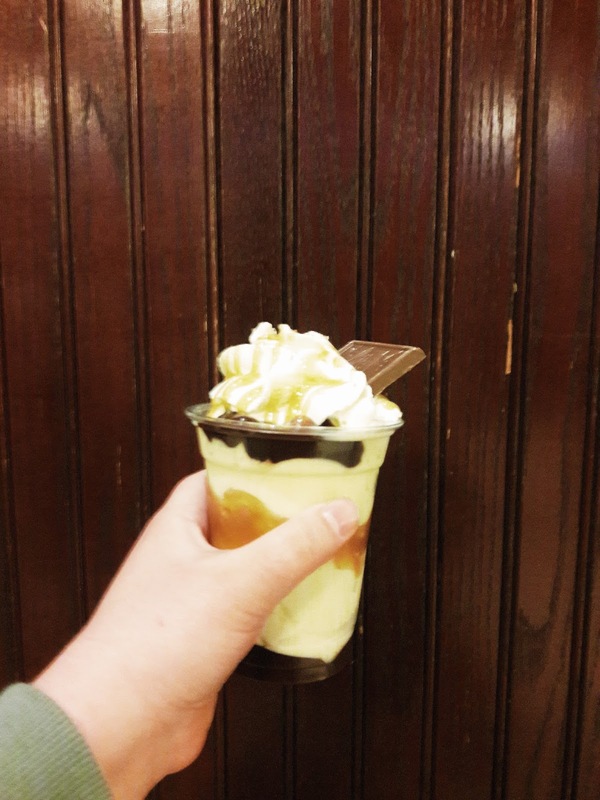 My friend got the Strike it Rich Butterscotch Sundae and let me have a bite. Just don't look at the calories! You can find Ghirardelli's in Pacific Wharf in California Adventure right next to the Cars Land entrance. There are so many delicious things to eat in Disneyland. I hope this list helps you get started! If you have any questions regarding Disneyland please feel free to ask me. I am no expert but I do have a lot of Disneyland knowledge floating around in my head.